Last November she admitted to Jenna Sauers of Harper’s BAZAAR that she passed on many shows she was looking forward to because of wardrobe restrictions, but almost like a sign from above to stay on her path, MaxMara presented her with looks custom made for her, hijab included. “That experience this season really reminded me that I'm doing the right thing. I don't need to change myself,” she said. For Aden, representation, and the chance to participate, is everything. “Anytime I saw somebody who dressed like me in a movie, the character was someone oppressed,” she explained to Sauers. “There was just a narrative to it that didn't match mine. Same thing with the news. Every time I saw somebody who looked like me, chances were they were doing something bad. Now, I get to represent my community to the majority.” And represent she has. 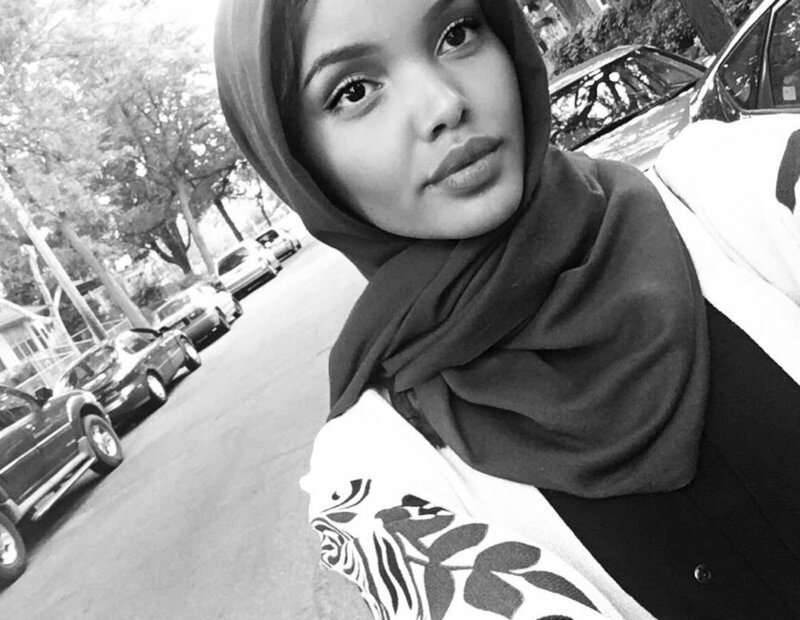 Halima has graced the cover of acclaimed fashion magazines like Allure, Vogue Arabia, Glamour and Grazia, walked in Alberta Ferretti and MaxMara fashion shows, and participated in campaigns for brands like Nike, SemSem and Fenty Beauty.